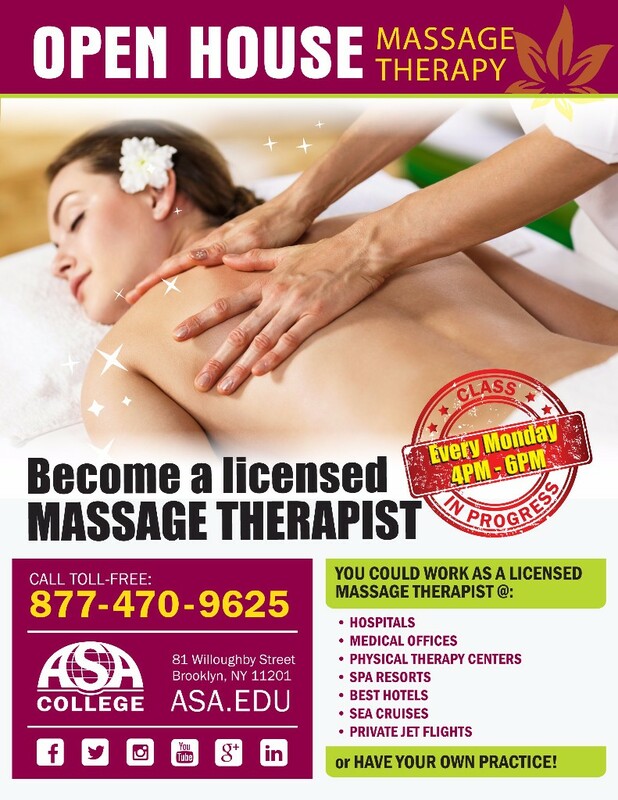 If you are interested, stop by and learn more about our Massage Therapy academic program and how you can take the first steps in becoming a trained, licensed massage therapist. By attending our information session you will learn more about our hands-on classes, state-of-the-art equipment, and employment possibilities and opportunities available after graduation. To participate, see the dates below and call us at 718-522-9073 to reserve your spot!